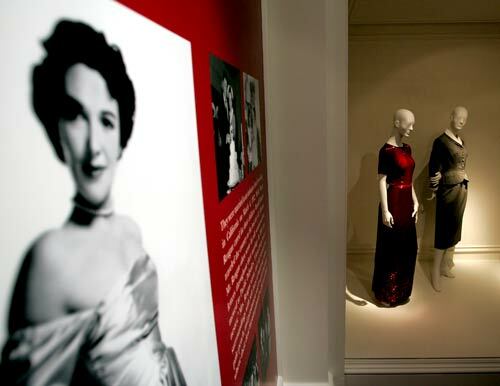 Although the opening was briefly marred by the Reagan Museum’s lost collections story, and by people actually recalling the era, Nancy Reagan’s dress show has returned her in triumph to the fashion pages. 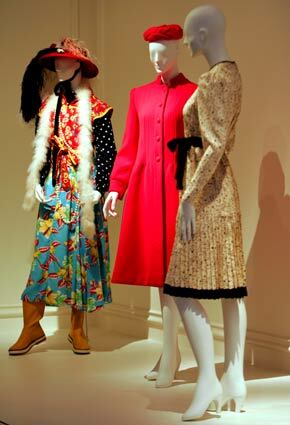 In order to pull this off the actual history of her fashion habit has to be ignored. In brief: she took clothing, only occasionally paid for it, lied about it, and kept sloppy records throughout Reagan’s two terms. Some details here. This entry (permalink) was posted on Tuesday, November 13th, 2007 at 8:19 AM by mr.president and categorized in AMERICAN HISTORY, AMERICAN PRESIDENTS, FIRST LADIES, HISTORY IN THE NEWS, NANCY REAGAN, PLACES & THINGS NAMED REAGAN, POLITICAL HUMOR, PRESIDENTIAL HISTORIAN, PRESIDENTIAL HISTORY, PRESIDENTIAL LIBRARY, PRESIDENTIAL MARKETING, PRESIDENTIAL SITES, PRESIDENTS OF THE UNITED STATES, RONALD REAGAN, UNITED STATES HISTORY, US PRESIDENTS, WHITE HOUSE HISTORY.